Looking for other drum loop styles? Like reggae, ska, Hip-Hop, or percussion loops? This is the drum sample category for different, sometimes eclectic genres to give you the rhythm tracks you want for your next recording session. Forget trying to program your EZ Drummer or Addictive Drums with these unique styles. Try programming some reggae drum loops or ska drum loops? Don’t even try. We deliver live drum tracks for these styles, delivering the groove and feel your music needs. 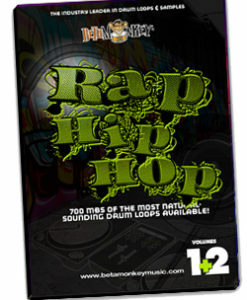 All download packs feature 100% acoustic drum loops, percussion loops, and samples. Essential Brazilian rhythms to inspire you to a new level of groove! Drum Werks XIV mixes the traditional with the modern, the funky with the smooth. We really think these loops will fit your Brazilian oriented music, as well as adding a twist on any other style you write, and most of all inspire you with some new fresh ideas. Live, authentic Brazilian grooves - only on Drum Werks XIV! Drum Werks XXI: Reggae Drum Loops: Inspired by the traditional reggae grooves you know and love, these versatile live reggae drum loops reggae beats with a modern sensibility - perfect for building reggae drum tracks for traditional reggae or rock-reggae styles. 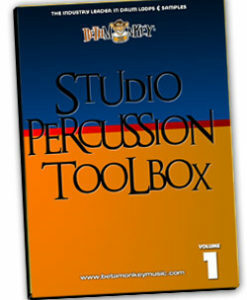 Includes One drop, Rocker and Stepper rhythms variations. 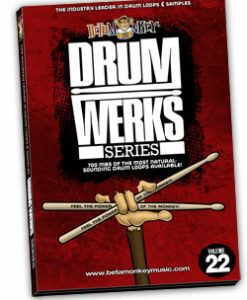 Drum Werks XXII Ska Drums offers a wicked collection of professionally recorded live ska drum loops with multiple grooves, groove variations, and fills. Syncopated snare side stick grooves, down and up tempo rhythms, all live ska drumming performances. Original, royalty-free hip-hop and rap beats with deep kicks, popping snares, and syncopated rhythmic grooves. This Double Pack set delivers the grooves that are stomping and funky. If you want a deep beat library in your rap and hip hop arsenal, this is the one to get.